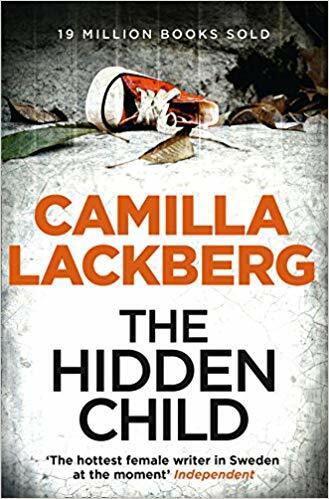 Camilla Lackberg is a Swedish author of contemporary psychological thrillers. 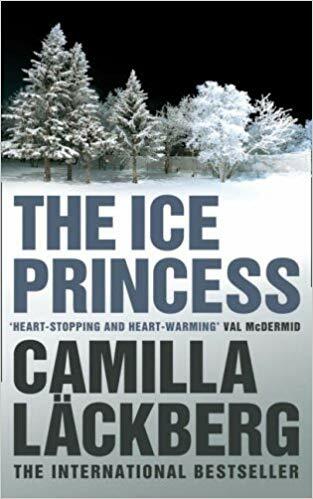 She has written ten books featuring crime writer Erica Falck and her police officer husband Patrick Hedstrom set in Camilla’s home town, the fishing community of Fjallbacka. The books can be read as stand-alone thrillers, but for extra enjoyment read them in order. That way you can follow the development of Erica and Patrick’s relationship from courting couple to parents as well as the members of Patrick’s police team as they experience love affairs, births and deaths. The books make great Christmas reading as they are usually set in a snowy winter. 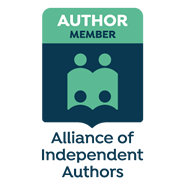 In novel number one, ‘The Ice Princess’, Erica returns to her home town after the death of her parents and finds the body of her best friend frozen in a bath. Although contemporary, many of the Erica Falck series have plots which are rooted in the past, especially the Second World War. In my favourite story ‘The Hidden Child’ Erica finds an old Nazi medal amongst her dead mother’s possessions and uncovers some disturbing family history linked to present day murders. I’ve just finished reading ‘Buried Angels’, No 8 in the series which also has its roots in WW2. A young woman returns to the island where her father ran a boarding school and where all her family except baby Ebba went missing and becomes the target of an arson attack. But like most of Camilla Lackberg’s novels the motive for present dangers are hidden in the past. Erica Falck is both a joyous and frustrating character who struggles to balance her writing career with being a parent. All the books in the series are well plotted and make a very satisfying read. Simon & Garfunkel – ‘Bookends’ Album 1968. An old friend, now a woman priest, contacts Ruth regarding some threatening letters she has received. She is coming to Walsingham to attend a conference and take part in some of the religious events. Meanwhile, Cathbod is in Walsingham too, house-sitting for a friend when he sees a vision of a woman wearing blue in the graveyard who is soon found dead. This is just the start to a string of murders, as Ruth tries to balance her work lecturing in archaeology, helping the police and taking her daughter to endless play rehearsals while Nelson tries to get over his wife’s affair and the new ‘super-boss’ bent on reform. The crowds are gathering for the local Mystery Play, religious fanaticism rears its head and the scene is set for a fascinating romp through personal relationships and murders. Ruth’s archaeological skills are needed again as boiled bones are found in an underground tunnel below Norwich. DCI Nelson and his team are kept busy tracking down a serial killer preying on the homeless. Then a middle class mother of two disappears and Nelson’s boss wants results fast. In this 9th Ruth Galloway story, where old bones meet modern murder, Ruth and Nelson’s not quite a relationship features as much as the crime. Both have family difficulties to focus on, and however much the reader wants them to get together things always get in the way. This is Norfolk Noir at its best – misty, gloomy, dangerous, mystical, pagan, set within bleak salt marshes and ancient buildings. The stories turn at a comfortable pace with great twists to reveal hard to guess satisfying endings. My first pick is a historical saga. 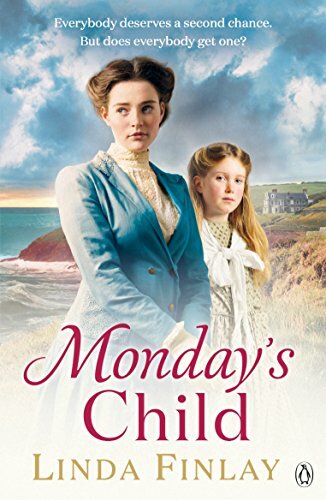 The first of the ‘Ragged School’ series, ‘Monday’s Child is set in Torquay on the Torbay coast an area I often visit. Now, thanks to Linda Finlay’s descriptions and lively characters I can image what life would have been like for those children at the Red Cliffs Ragged School and their sassy teacher Sarah. Number two of the series is out in May 2017. From a story about children to one of old age. I was sent this book to review by publisher Legend Press and was so glad they had as otherwise I might not have come across it. Short-listed for Amazon’s Rising Star Award of 2016, this lyrical, poignant and funny story about guest house landlady Maeve coming to terms with getting older and opportunities lost takes you back the 1950’s through Maeve’s memories of when she was young. With beautiful descriptions of an era that failed to understand disability or being different, this lovely book makes you realise life in the twenty first century isn’t as bad as we sometimes think. I really enjoyed this edgy young adult thriller from my publisher Endeavour Press. With beautifully drawn characters surviving in a London where affluent ‘suits’ collide with and exploit disaffected homeless young people in the subterranean world of London’s disused underground passages. I’m grateful to Sidmouth Crime Fiction Book Group for suggesting we devote one of our meetings last year to the crime novels of Peter Robinson. Before that I’d only watched DCI Banks on the television. I particularly liked this stand alone mystery novel about a retired musician who becomes obsessed with proving the previous owner of his house was innocent of the crime she was hanged for. The rambling old home on the North Yorkshire Moors becomes a character in its own right. This was the Sidmouth Crime Fiction Book Group’s first book of the year and a welcome return to Dr Ruth Galloway’s adventures. We love her every day struggle with single parenting, controlling her weight, trying not to be jealous of her glamorous friends and her passion for Radio 4’s Archers. Number eight in the series is out on Kindle on the 23rd of February and if you can’t wait there is a lovely free short story ‘Ruth’s First Christmas Tree’ to get you in the mood. Fresh Air followed by Cakes! 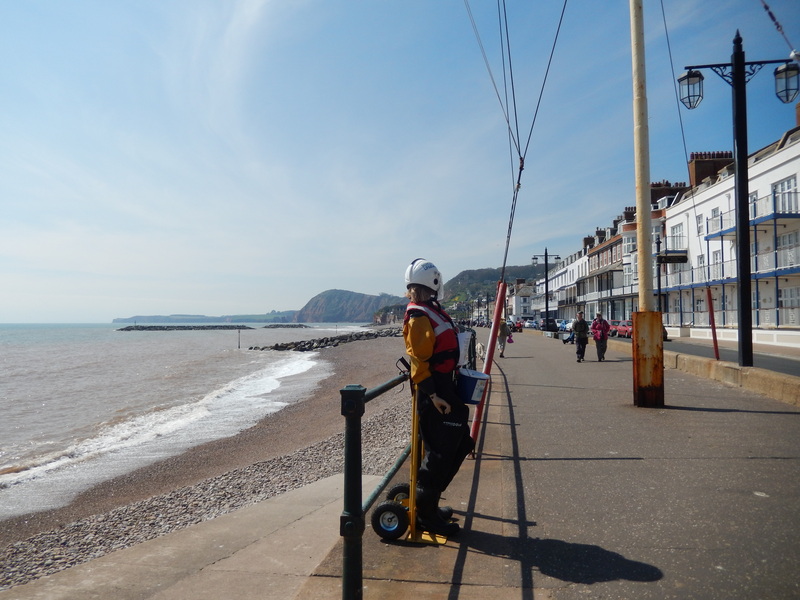 Join me at 2.30 pm today, 15th of November for a short walk round the locations in Sidmouth that inspired ‘Revenge Ritual’ – followed at 3 pm by tea and cakes at the library and a talk about my novel. 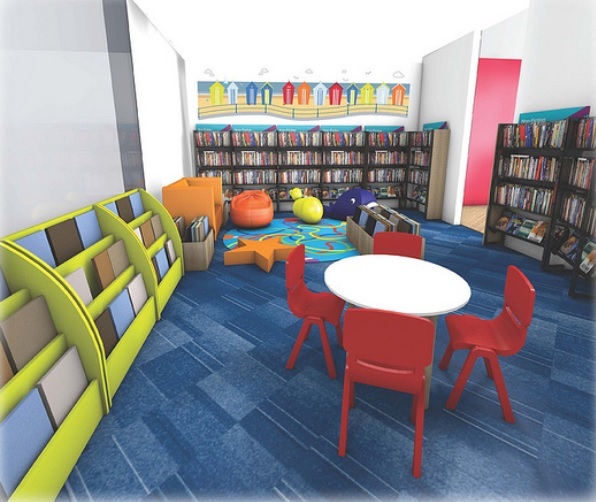 Part of Devon Libraries Active Life, Active Minds programme. Tickets are available from Sidmouth Library, which is where we will start. In lots of ways the title of this thriller for young adults says it all – a lot of the plot happens beyond the rail tracks and the story picks up momentum then streaks along like an express train. The action slips between the world of the ‘suits’ of London’s business and banking sector, with their fast lifestyle and palatial glass penthouses to the underworld of an underground village of disillusioned teenage drop outs forging their own alternative community beneath the streets of London. It’s a world that can only be accessed via the London underground tunnels. 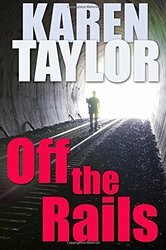 I’ve read about London’s disused underground network and in ‘Off the rails’ it makes a brilliant setting for a lively and readable novel for young adults. And older ones will enjoy it too. The characters are well drawn. I particularly liked the main protagonist, Severine. She’s a sassy and independent sixteen year old who struggles to balance her romantic feelings of attachment with her instincts to trust no-one. The story’s angle on poverty and banking is topical and well constructed. A swift read and a lively thriller for readers of all ages. ‘What Remains’ by Tim Weaver. 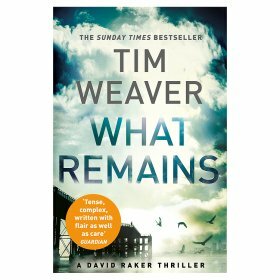 What Remains is the 6th book in the David Raker series about a missing person investigator. It is a haunting, intriguingly dark novel. 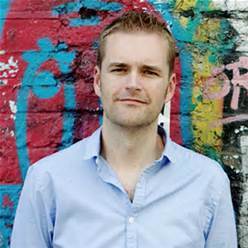 I was lucky enough to attend Tim Weaver’s author talk at the Yeovil Literary Festival in October when he said he was trying something different in this novel, although he didn’t say what it was. I think it’s the fact that Raker who has always been such a loner now has a ‘sidekick’ for much of the early part of the story in the shape of ex-cop ‘Healey’. Yes, this book is big on single second names. But if you are a Raker fan, read it for yourself and see what you think is different. In What Remains both Raker and Healey are haunted by the horrible murder of two children and their mother, described in the opening pages of the book. It affects both men deeply causing them to skim the depths of depression and as such they are often not best placed to support each other. But this is riveting and disturbing stuff. Raker and Healey’s turmoil is our turmoil as Healey self destructs pulling Raker down with him. The novel has a strong sense of brutal realism as it touches on themes of homelessness, depression and mental illness. With a plot that twists around shocking and surprising events and clever misdirection. The novel is written in such a way that you don’t need to have read the earlier Raker stories to follow and enjoy it. Weaver drops the back story into the action in a subtle and unobtrusive way. But if you have read the other books in the series, What Remains provides a satisfying resolution to a plot thread that runs throughout the series. In conclusion, this is a complex satisfying crime novel worthy of a five star review. It won’t disappoint fans of Raker and if you haven’t come across him before then this is as good a place as any to start – then go back and read the earlier books.